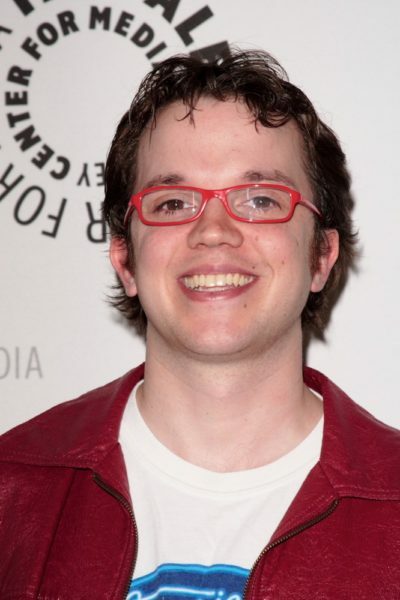 Place of Birth: Hackettstown, New Jersey, U.S.
Eric Millegan is an American actor. Eric is the son of Karen Roth and Lloyd Millegan. He was raised in Springfield, Oregon. Eric’s paternal grandfather was Lloyd Sidney Millegan (the son of Guy Johnson Millegan and Cora Frances Sexton). Lloyd was born in Montana. Guy was born in Montana, the son of Joseph Willard Millegan and Esther Johnson. Cora was born in Iowa, the daughter of Frank Mason Sexton and Ida Mae Pyle. Eric’s paternal grandmother was Ellen Eudora Woodworth (the daughter of Edwin Ansell Woodworth and Ethel May Wells). Ellen was born in Oregon. Edwin was born in Nebraska, the son of Almond Giles Woodworth and Bertha Mathilda Maybee, whose mother was English. Ethel was born in Oregon, the daughter of Joseph Allen Wells and Mattie Ann Moody.